If you are going to take some one-day trips, you might want to stay, like we did, near the train station. I suggest a small gem of a hotel: Axel Guldsmeden. It is a masterpiece of organic sustainability in everything from their beds and showers to afternoon/evening teas. 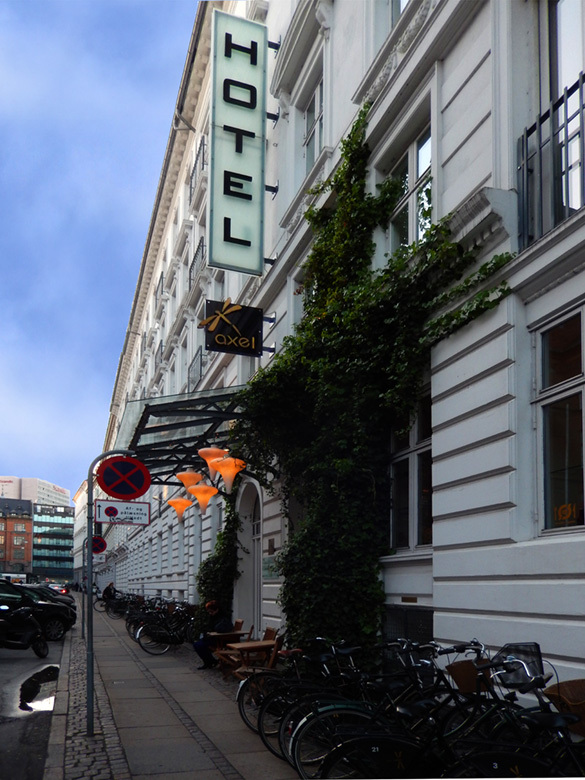 Plus, it is super easy to get to and from the train station and to all places in the city: https://guldsmedenhotels.com/axel-hotel-copenhagen-vesterbro/. The breakfast there was very nice and the staff was super-helpful in everything. If you are flying to Denmark, this is how you’d get to the Hotel from the airport (sent to me by the staff): You can take a train directly from terminal 3 to Københavns Hovedbanegård (Copenhagen Central Station) and from Københavns Hovedbanegård it is a short walk to our hotel. Travel time: about 20 minutes. Remember to buy the ticket before you board the train. You need a 3 zone ticket. One Day Trips – Not to Be Missed. 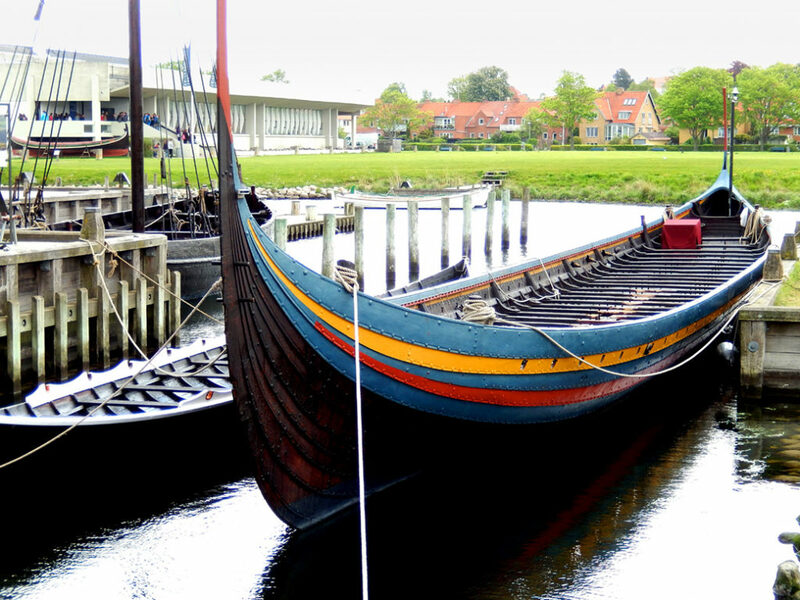 If you are restricted in time and can dedicate only one day for side trips, try to do cover these two most important places (in my mind) in Denmark outside the country capital city from an historical and aesthetic/artistic perspective): Roskilde (their first capital and the place for the unique Viking ships and Kronberg, the fictional home of the most famous Royal – Prince Hamlet. 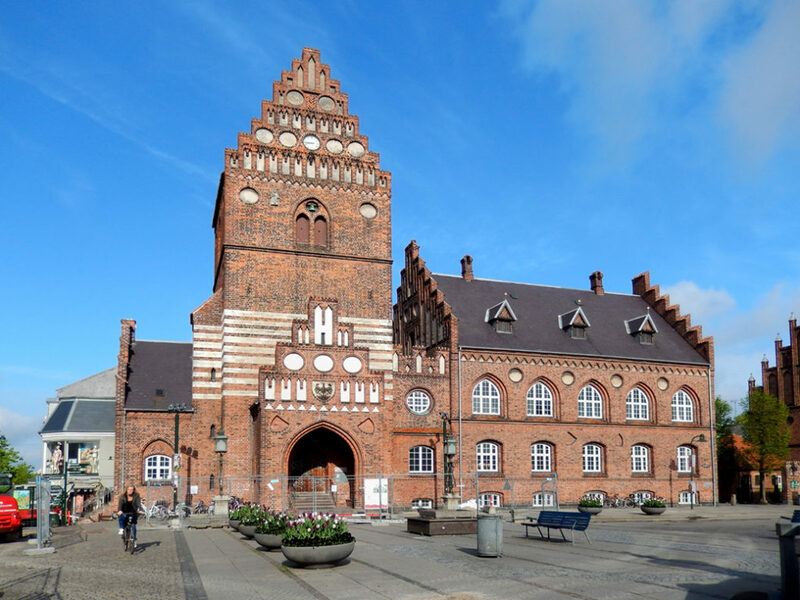 Roskilde: Denmark’s roots, both Viking and Royal, are on display here (18 mi West of Copenhagen). This church is Danish Westminster. 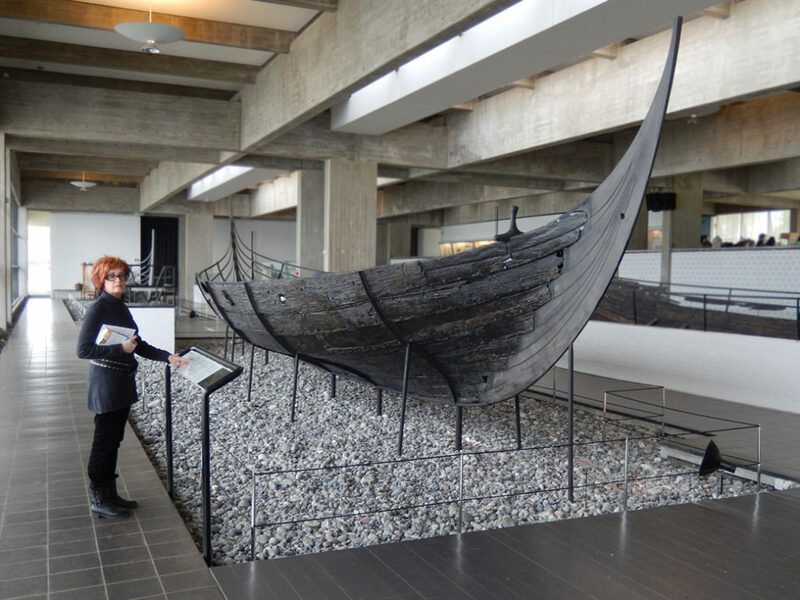 The core of the Viking Ship Museum at Roskilde is the remains of five Viking ships deliberately buried there 1,000 years ago. You can go on a short cruise on this one (a reconstruction). After visiting both the Cathedral and the Viking Museum, return to Copenhagen, change trains and go to Kronberg. 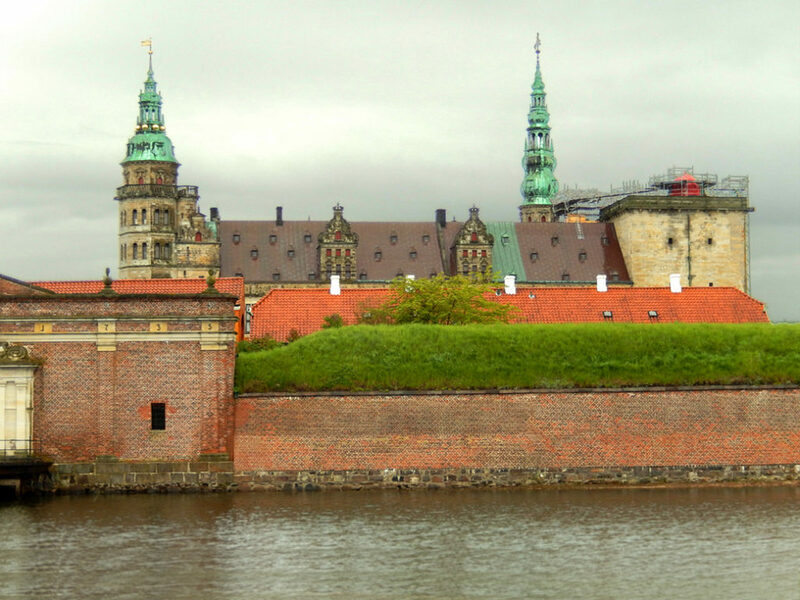 Visit the Royal Palaces and their Museums, among which I consider the Rosenborg the most interesting. Do not miss everything connected to Christian the Fifth! Not-to-be-Missed: Glyptoteck; National Museum, especially their Viking exhibit; and of course incredible “architecture as a story” Daniel Libeskind’s Jewish Museum that is designed as the Hebrew word Mitzvah. You really are inside the WORD there. My suggestions, if you want to experience the best of new Nordic Cuisine, make your reservations ASAP. Noma http://noma.dk/. For many years, it was officially considered the best in the world! Everything in Scandinavia is very expensive (but a bit lower than in Iceland). But it is all worth it! 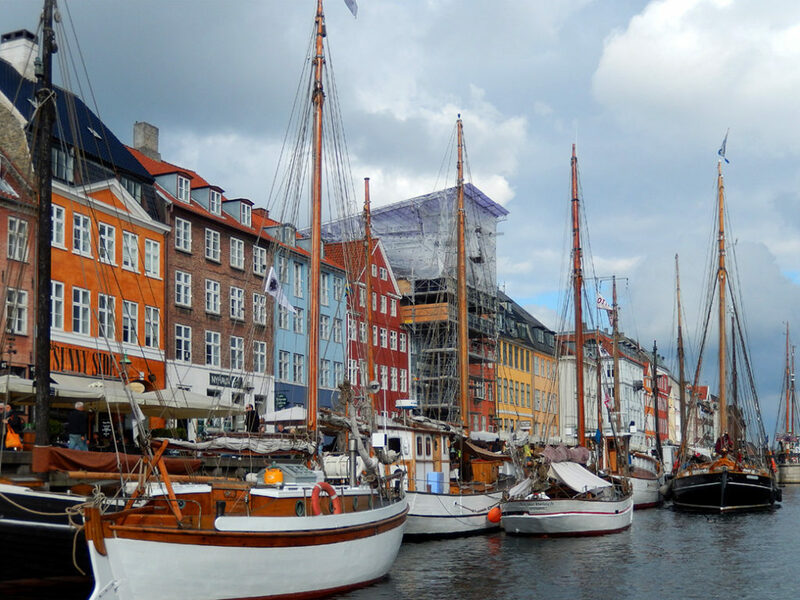 This entry was posted in Europe, General, Scandinavia, Travel Tips and tagged Axel Guldsmeden hotel, Copenhagen, Denmark, Glyptoteck, hotels, Kronberg, New Harbor in Copenhagen, Nyhavn in Copenhagen, Roskilde, Royal Palace in Copenhagen, scandinavia, Schonnemanns, Viking Ship Museum, Viking Ship Museum at Roskilde. Bookmark the permalink.